Obituary for Mary L. (Little) Rohrbaugh | Feiser Funeral Home, Inc.
Mary L. (Little) Rohrbaugh, 91, died Monday, January 21, 2019, at Levindale Hebrew Hospital in Baltimore, MD. She was the wife of the late Marlen L. Rohrbaugh, her husband of 67 years, who died March 3, 2014. Mary was born November 2, 1927, in Hanover, the daughter of the late George B. and Ruthetta M. (Leese) Little. 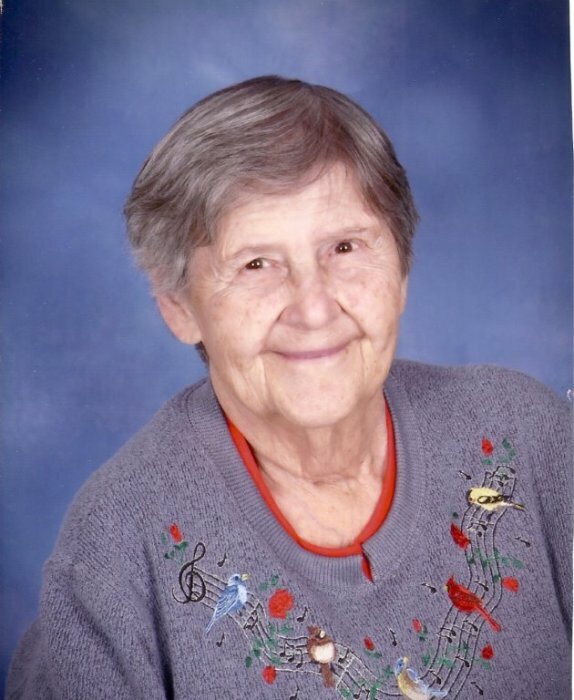 Mary was a member of First Evangelical Lutheran Church in New Oxford, the New Oxford Lions Club, and was a 1946 graduate of Hanover High School. She was employed by Murphy’s, W.T. Grant, and Jamesway. Mary is survived by two sons, Wayne L. Rohrbaugh and his wife Diane of Las Vegas, NV, and Karl E. Rohrbaugh and his wife Sylvia of Travelers Rest, SC, a daughter, Tina M. Steich and her companion Ted Shultz, of Hanover, seven grandchildren, ten great grandchildren, and a great great granddaughter. She was predeceased by a sister, Helen Hewitt. Funeral services will be held on Saturday, January 26, 2019, at 1 PM at the Feiser Funeral Home, Inc, 302 Lincoln Way West, New Oxford, with her pastor, Rev. Elizabeth D. George officiating. Burial will be in Dub’s Church Cemetery, Hanover. A viewing will be held at the funeral home on Saturday from 12 PM until the time of the service. Memorial contributions may be made to First Evangelical Lutheran Church, 200 Lincoln Way East, New Oxford, PA 17350. Memories may be shared at www.feiserfuneralhome.com.